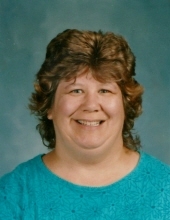 Mary Lou Hammond, 64, of Binghamton, passed away in UHS Wilson Medical Center in Johnson City on Thursday, January 17, 2019. Mary Lou was born on November 24, 1954 in Norwich, NY and was a daughter of Lester and Mary Ann (Pooler) Thompson. On June 12, 1976 Mary Lou married John Hammond in the First Baptist Church in Morris, NY. For many years Mary Lou was employed by the Broome- Tioga BOCES in Binghamton as a teacher’s aide. She enjoyed traveling and amateur photography. She enjoyed collecting bells, spoons and dolls from traveling to different places. Mary Lou was most at peace when she was able to reflect nature’s beauty outside near water. "Email Address" would like to share the life celebration of Mary Lou Hammond. Click on the "link" to go to share a favorite memory or leave a condolence message for the family.